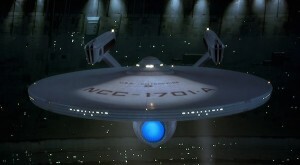 Star Trek is one of the jewels in Paramount’s crown. Even when it doesn’t do so well (see Star Trek Beyond), it still retains one of the most devoted fanbases in the world. When J.J. Abrams’ Star Trek reboot was announced, fans knew that there would be a television series sooner or later. Star Trek: Discovery was put together with Alex Kurtzman from a concept by Bryan Fuller. The series brought aboard one of the most influential writer/directors in Star Trek history with Nicholas Meyer. He was the one who wrote and directed the best films with the original cast: Star Trek II: The Wrath of Khan and Star Trek VI: The Undiscovered Country. That response can be taken either way, but it is within the realm of possibility that he may return behind the director’s chair, or at least be writing the sequel to Star Trek Beyond. However, Ain’t It Cool News is reporting that he isn’t working on the film in any capacity. The next likely possibility would be a book, documentary, or video game, but the news outlet’s sources also states that won’t be the case either. Another possibility is that we know the director is working on a 4K restoration of Star Trek II: The Wrath of Khan, so the project could be a 4K restoration of his other film, The Undiscovered Country. Why he would keep it a secret is anyone’s guess (since he had no problem revealing Wrath of Khan), but I tend to always bank on these secret projects being something pretty niche like this. A more exciting possibility would be a new film that has nothing to do with J.J. Abrams’ movies, taking the franchise in another concurrent direction. He hasn’t directed a feature film since Star Trek VI in 1991, and most of his more recent credits have been for TV writing and producing, so I wouldn’t bank on this either. Outside of the 4K restoration theory or that Ain’t It Cool’s sources are wrong, there is one final possibility I can think of: Meyer is working on another Star Trek television series. While he did say that his project has nothing to do with Discovery, but that doesn’t mean CBS/Paramount aren’t thinking about a second Star Trek series. Last summer, CBS CEO Les Moonves did seem to indicate that they were already thinking about making more Star Trek long before Discovery went to camera (via Trek Core). Considering that Meyer is a writer and producer on Discovery, he is in a very prime position to create his own series, which could take place in either timeline, or maybe even post-Star Trek: Voyager. It is a very exciting possibility, but we’ll see what his project will end up being. Star Trek: Discovery will premiere sometime in the fall on CBS All Access.